To ensure that your Solar Park is running to its maximum efficiency, it is necessary to be able to see potential problems before they become major issues, particularly those that are likely to impact the overall performance of the installation. Similarities exist between most solar installations, and often the same problems arise from site to site. However the more detailed the checking process, the better the opportunity there is to perform timely and cost effective measures to avoid unnecessary expenses that may arise from costly Corrective Maintenance or urgent repair works. It is for this reason that we have compiled the most comprehensive checklist, so that when our Maintenance operatives visit your site,they will perform a fully structured visual inspection. We are then able to create a detailed site report with our own recommendations for scheduled Maintenance to give you peace of mind. 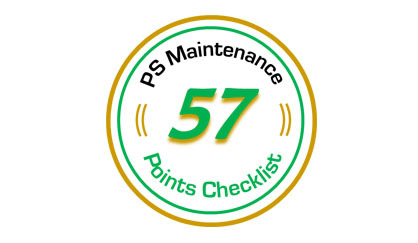 Our unique 57 Point Checklist covers as many areas of the park as possible. Checks range from a general inspection that the site is clean and tidy, and free from shading, to making sure that the meters and security monitors are working properly within the site structures. PS Maintenance is part of the Padero Solaer group, we have more than 10 years’ experience in managing solar installations across the world. Our services, whether a simple hedge trim or a full turn-key Gold service, are fully insured and bankable. We work for more funds and EPCs than any other O&M company in the UK and offer a range of packages to suit your operation and maintenance needs.